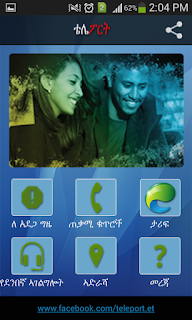 Teleport is an app created by Ethiopian Telecommunication Corporation, and it allows users to get many services with just a couple of clicks away. ዋና አገልግሎት: Here you can check your balance, recharge your balance, transfer balance to someone else (friend, family, coworker etc…), and send call me back request. የድምጽ ጥቅል: This service allows you to pay some amount of money and call for longer duration with a discount. 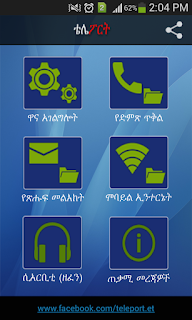 የጽሁፍ መልእክት: This is like the former service you will pay to get daily, weekly or monthly text depending on your need. 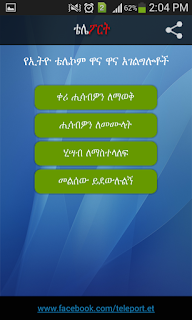 ሞባይል ዒንተርነት: This will allow users to get some amount of data by paying in the same way as የድምጽ ጥቅል or የጽሁፍ መልእክት. ሲአርቢቲ (ዘፈን): CRBT is one of the most interesting services you will get. 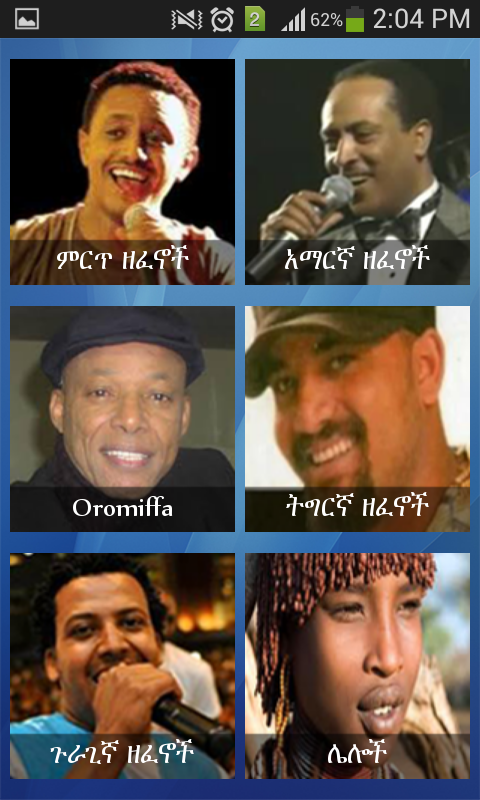 Just by paying 5 birr for a month you can choose your favorite song that your caller can hear while your phone rings. 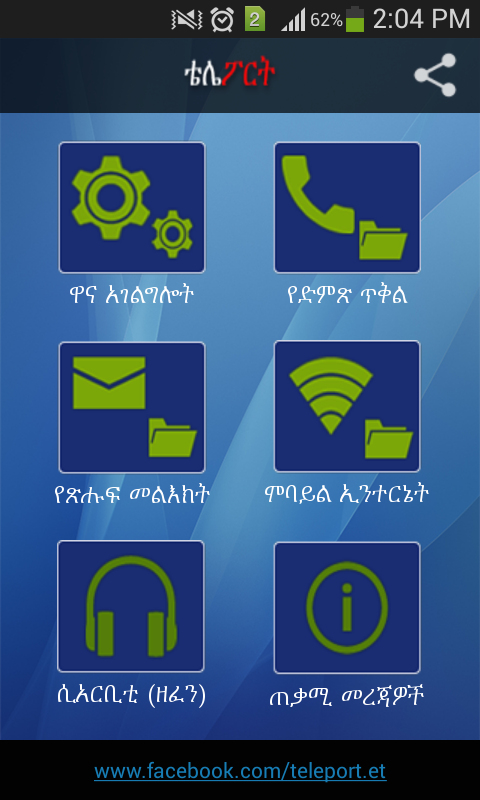 ጠቃሚ መረጃዎች: Here you can get different information about Ethio telecom, emergency phone no’s, phone no’s of cinemas and many more. For android users you can get the app from play store and for iPhone from apple store!